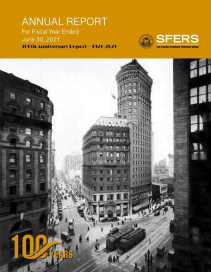 2019 SFERS “Path to Retirement” Seminar Schedule Now Available! It’s never too late or too early to plan for retirement. Attend a “Path to Retirement” Seminar and discover the benefits of SFERS! 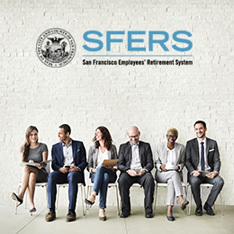 2019 SFERS “Ready to Retire” Seminar Schedule Available Now! Considering retirement within the next five years? Enroll in a Retirement Seminar today! As a key component to the six-point strategy to address climate change risk, the San Francisco Employees’ Retirement System has hired Andrew Collins as the new Director of ESG Investing. At the June 13, 2018 meeting, members of the Retirement Board elected Commissioner Brian Stansbury and Commissioner Wendy Paskin-Jordan to serve as President and Vice President, respectively. The Retirement Board of the San Francisco Employees’ Retirement System welcomes San Francisco Assessor Carmen Chu as its newest member. The Retirement Board of the San Francisco Employees Retirement System approved an investment of up to $500 million in Generation’s Global Equity Strategy fund at the April 11, 2018 Board meeting. Considering retirement? SFERS is here to assist you with your transition. Enroll in a Retirement Seminar today! 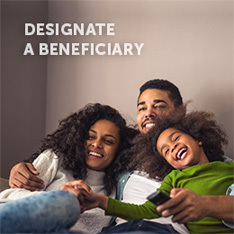 It’s never too late or too early to plan for retirement. 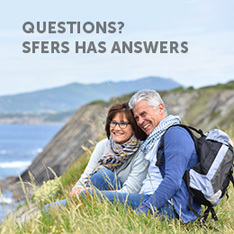 Learn about the benefits of SFERS membership by attending a “Path to Retirement” Seminar. Annual SFERS Member Statements for Fiscal Year 2017 Have Been Mailed! See What’s New in mySFERS!